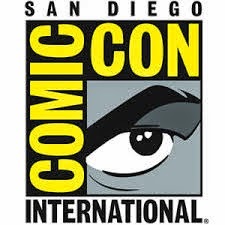 There aren’t too many television shows that can draw an audience of screaming 7,000 fans to Comic-con to celebrate its tenth anniversary and if there are any, they were most likely created by Joss Whedon. Before becoming the celebrated director of the world’s third biggest hit, The Avengers, Whedon specialized in making awesome television shows that were never given the respect they deserved. First it was “Buffy the Vampire Slayer”, then “Angel”, and then most importantly in my book, “Firefly”. Fox’s mishandling of this show is legendary and even when it was still on the air, it was hard to find thanks to it being moved too much and even the pilot for the show didn’t start the show. For a show that had everything against it, “Firefly” still managed to win fans with its fantastic characters, thrilling action, and fantastic humor. That audience grew even larger once the show was released on DVD and Blu-ray which allowed new fans to discover the show that had only been allowed to run thirteen episodes before being canceled. This year’s big event was “Firefly’s” tenth anniversary reunion which served as a touching reunion and tribute as well as vindication for Whedon that the show truly mattered then and now. The highlight of Comic-Con 2012 is without a doubt the “Firefly” panel that served as a tenth anniversary reunion and included series creator Joss Whedon, showrunner Tim Minear, writer Jose Molina and stars Nathan Fillion, Summer Glau, Alan Tudyk, Sean Maher, and Adam Baldwin. Not only did I get to be a part of something historic and emotional, but I was also able to attend the private press conference that took place with the cast and crew after the panel. My favorite part was the panel though because from the moment the cast and crew stepped on the stage, everyone knew that it was going to be unforgettable. At this point, the cast really were having a hard time controlling their composure but Fillion tried to keep it together as he said, “When Firefly died I thought it was the worst thing that could possibly happen. What I realized now, 10 years later, looking out over this room, is that the worst thing that could have happened was if it stayed dead.” Being the funny man that he is, Whedon helped alleviate the tears by saying, “Can everybody just tweet that I said that?” Little did he know that his turn to struggle to not cry was about to happen when he was asked how the finale would have been different than the movie if he has known that he would only get one season to tell the complete story. And with that, the panel was over but it felt like a cathartic and joyous experience for everyone present. It’s moments like this that make Comic-Con what it is and what it stands for as for a short time, the cast and crew were able to thank their audience for their support and the audience let them know just how much they loved and appreciated the work and dedication Whedon and the others invested into “Firefly”. I highly recommend watching the videos below to experience it all for yourself as my words can’t do it justice. This panel was reason enough for the expense of coming and I will treasure it forever as it’s without a doubt my favorite Comic-Con memory. Zachary Levi gets kissed by Nathan Fillion and Adam Baldwin at NerdHQ! By the way, my wife got a hug and kiss from Fillion too!